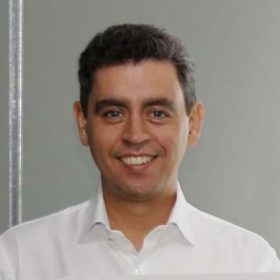 Iván Rodríguez is the co-founder and Chief Business Development Officer of Parclick. He graduated with a MS in Engineering from Universidad Politécnica de Madrid and went on to receive an Executive MBA from IESE Business School. Iván co-founder Parclick, an online car park reservation company, together with Luis Paris in 2011. Iván brings to Parclick more than 10 years of experience in sales positions in American software multinationals, managing sales strategy, pipeline, and sales targets in large Financial Services accounts. Together with 5 years of experience in IT positions developing Business Intelligence and Business Analytics projects. Parclick.com makes travel more convenient and less expensive for visitors commuting by car in Spain, Italy, Portugal, and France. Targeting customers staying for multiple days in a given city, Parclick.com allows drivers to find a parking spot in advance of their arrival in over 550 conveniently-located parking garages in 100+ cities. Customers can secure these spots online at a discounted price of up to 70% of the cost they would pay in-person.